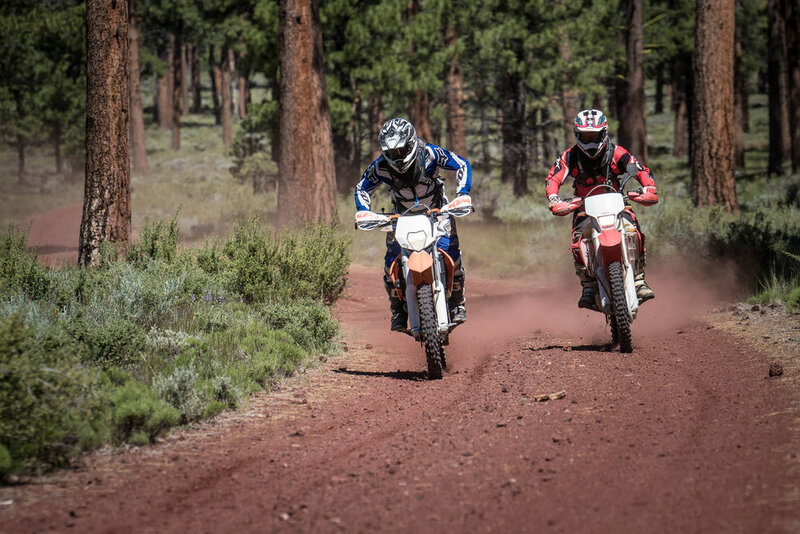 Avid dual sport and adventure riders almost unanimously claim Baja California and Colorado as the top choices on a short list of first-class destinations. Vast desert terrain and jagged mountains, along with their lavish views, firmly plant these areas as vacation worthy to hard working explorers. But, what about Oregon? Even the well-traveled nary mention the ninth largest state as a premier destination. 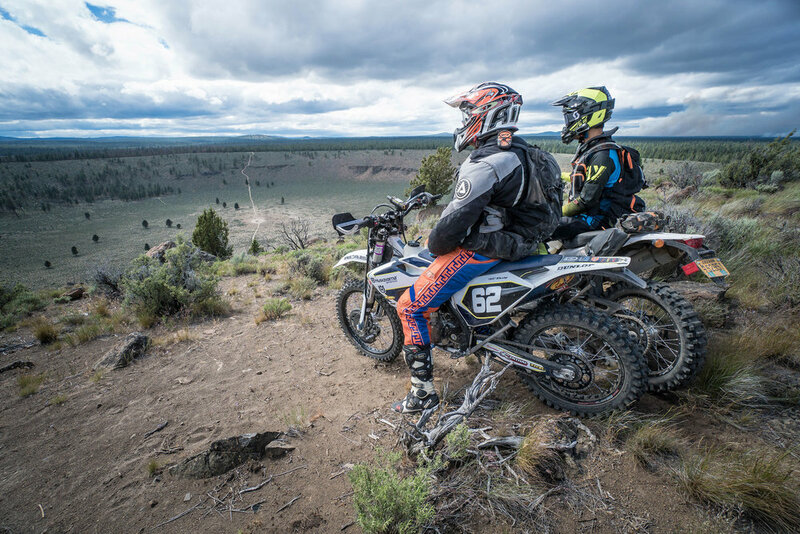 High Desert Adventures (HDA) is a backcountry tour company based out of Prineville, OR nestled within spitting distance of both USFS and BLM lands open to OHV use. 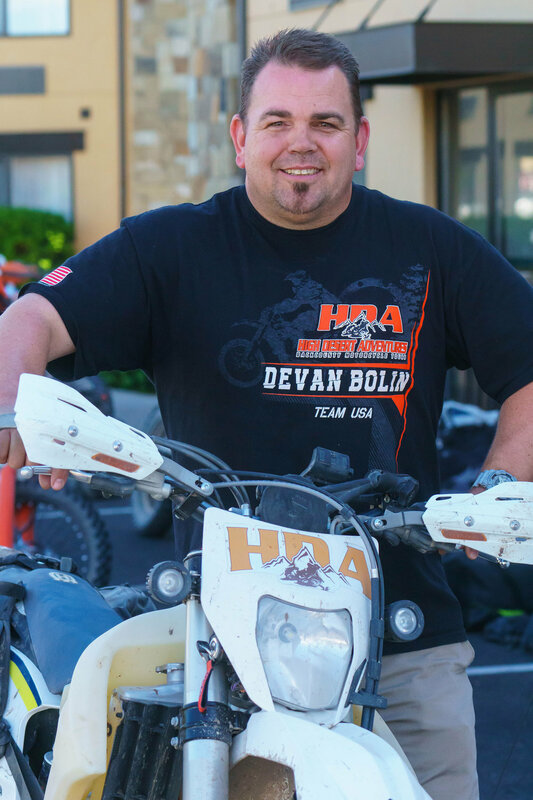 Ace Nilson is the man in charge, sporting a multifaceted riding history that began when he was twelve aboard an RM80 in the Southern California desert and includes racing in the Baja 1000. 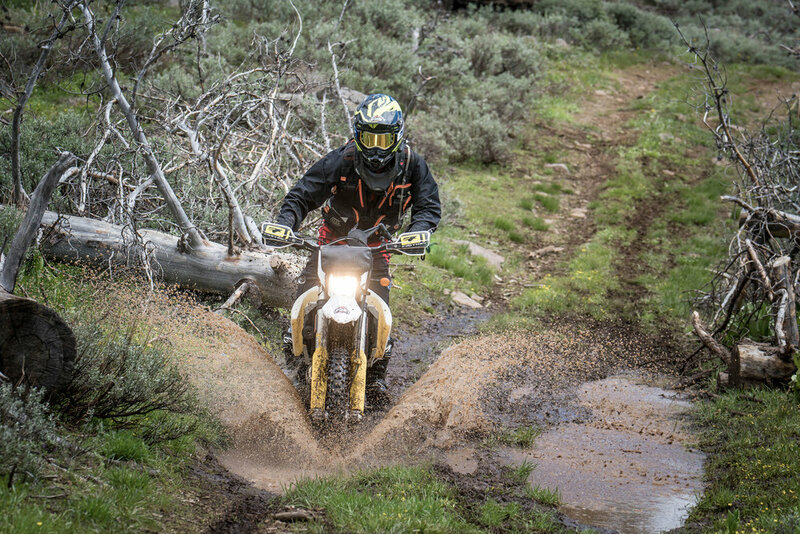 Ace also raced motocross where he met Greg Munn, who started High Desert Adventures in 2007 after becoming enamored with adventure-based riding by navigating the Oregon Backcountry Discovery Route. 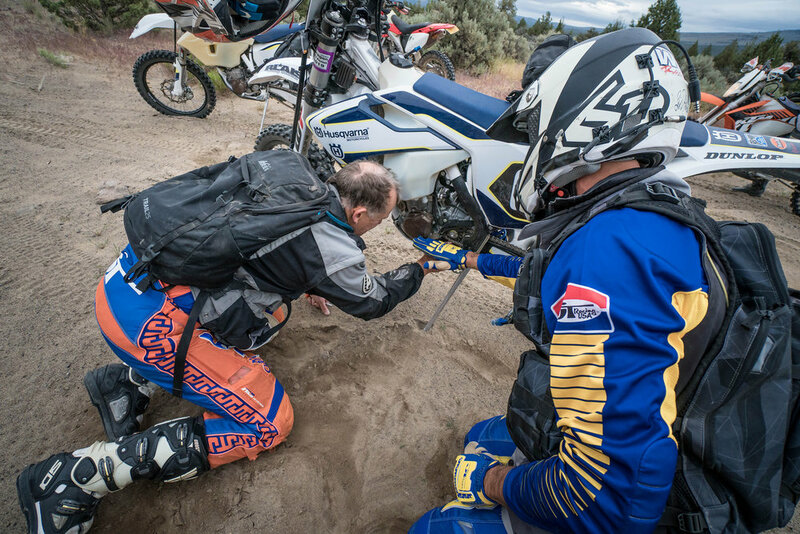 His enthusiasm relentless, creating a need to share the experiences with others, Greg asked Ace to help him with one of High Desert Adventures’ first Wild West Tours; the duo became business partners in 2013. 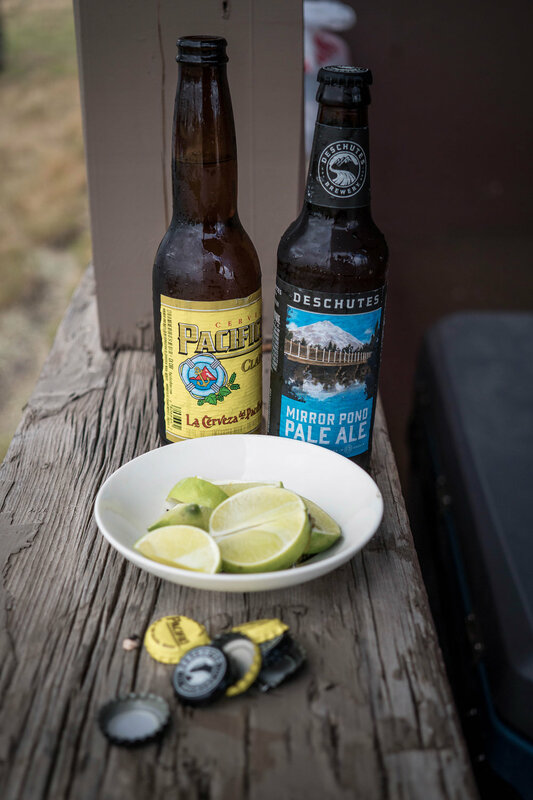 The company has expanded its offerings to include several different tours in Central Oregon and Baja California. 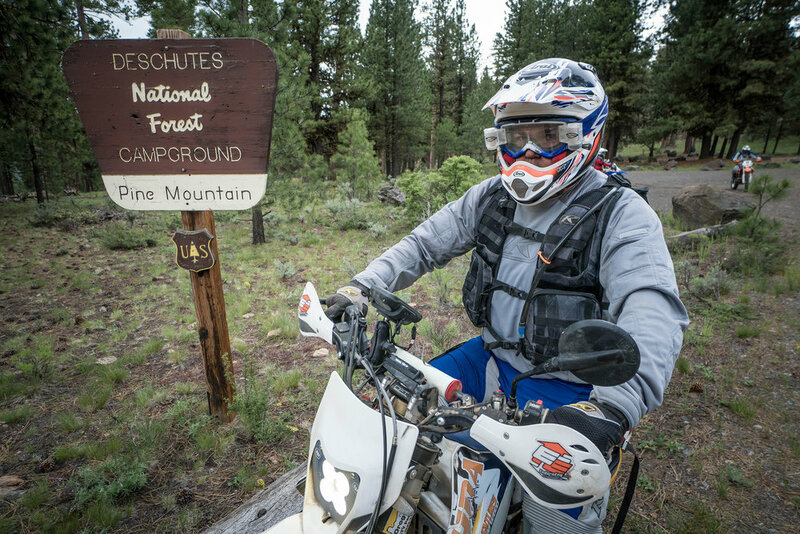 HDA is the only tour company to obtain a special use permit in the state of Oregon, working with the Forest Service to get their routes approved, and all outings are AMA chartered. Simon and I landed at the Redmond airport and Jimmy Lee, another HDA co-owner/guide, was at the ready to transport us to Prineville, a 30-minute drive away. Jimmy’s excitement to get the tour rolling was palpable and carried over to dinner where we met the rest of the tour group. This eclectic collection of six Southern California professionals had been planning this adventure for almost a year, generously allowing the Upshift Online crew to invade their private party. 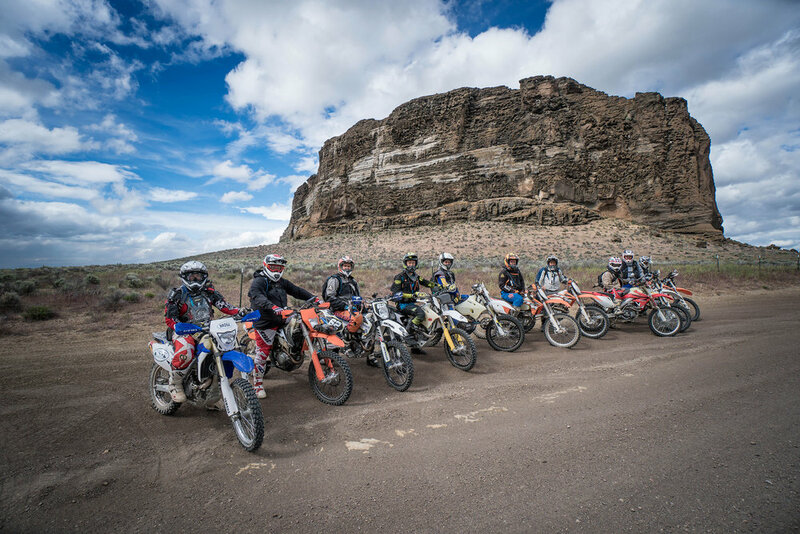 This group had a lot of experience on dirt, creating anticipation as the overall skill level promised fast riding across the more challenging terrain. 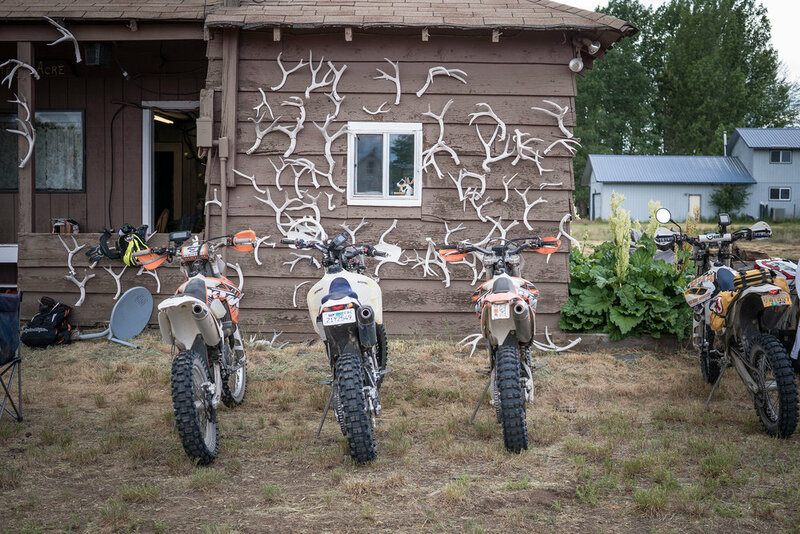 Day one began with meeting the HDA crew for the Wild West Tour, their typical 2:1 client to guide ratio; Ace would be a lead guide, local Jon Beaver, and Idahoan Ryan Groseclose would also be guiding on the trail. Jimmy had chase truck duties for the day. The lead guide and sweep guide had radio contact throughout the tour, as well as communication with the chase truck driver. The chase truck and trailer ferried all gear to the next location and acted as a well-equipped bike service center and gas stop. Ace and Jimmy would swap responsibilities day to day as lead guide and chase truck driver. Simon and I were on rental bikes, an available option, and they were recent models, well maintained, fresh tires at the ready. We rolled out of town, quickly hitting the dirt and never seeing any mentionable length of pavement until the end of the day, which was the norm for the rest of the tour. 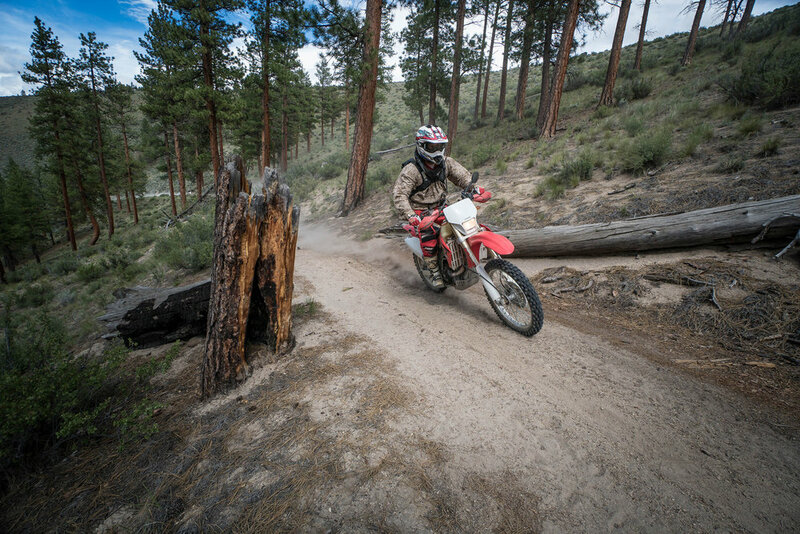 Fast high desert two tracks transformed into twisty, rolling and incredibly fun single tracks though Deschutes National Forest’s East Fort Rock and China Hat OHV areas. These trails were amongst the best I have ever ridden! Climbing abrupt rises, down bumpy descents, fast whooped straights, tricky turns through dense forest with the occasional rock outcropping – I didn’t want it to end. This single track eventually led to the high desert, taking the group to the “Hole In The Ground.” Hole In The Ground is exactly as the elementary title suggests, but the scale is hard to convey. It is an almost 500 foot deep, one mile in diameter depression with a 110-210 foot high rim around its perimeter. This crater is a maar, created when the land was a lake, magma near the surface flashing water into steam, blowing out the overlying rock and soil to create the hole. We played around inside this volcanic anomaly for a bit, hairy descents and various climbs keeping the grin factor high. Soon after leaving Hole In The Ground, the group climbed through increasingly thick smoke from an unknown source. The smoke combined with dust, and at one point, I could only see a foot in front of my tire. Unbeknownst to us, we were pushing through a controlled burn, providing one of the eeriest riding experiences to date. 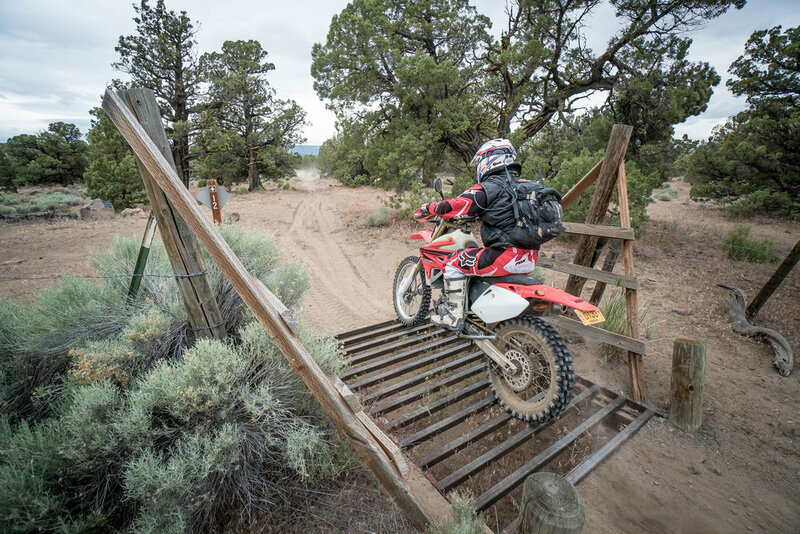 The first day ended with traversing more fast desert terrain to the quaint town of Silver Lake, pulling into “Hells Acre,” a refurbished old orphanage. HDA acts as caretaker for this historic property in exchange for exclusive rights to use as a tour accommodation, the stop adding character to the entire experience. Dinner was a short drive away at an equally characteristic and historic establishment dubbed “The Cowboy Dinner Tree.” Homesteaders constructed the restaurant’s rustic building in the late 1800’s; its location mandated by a large juniper tree that acted as the chuckwagon stop at the midway point of a cattle drive. The tree still stands proudly behind the eatery. Vegetarians need not apply; hungry riders had the choice of an entire chicken or roughly 30-ounce steak, cooked outside on an impressively grand grill, accompanied by homemade bottomless beans, salad, and rolls. Reliving the 150-mile day ensued back at Hell’s Acre, conversation lubricated by a wide selection of adult beverages from the endlessly stocked HDA cooler. Day two plans called for a long day to ultimately end in Christmas Valley. 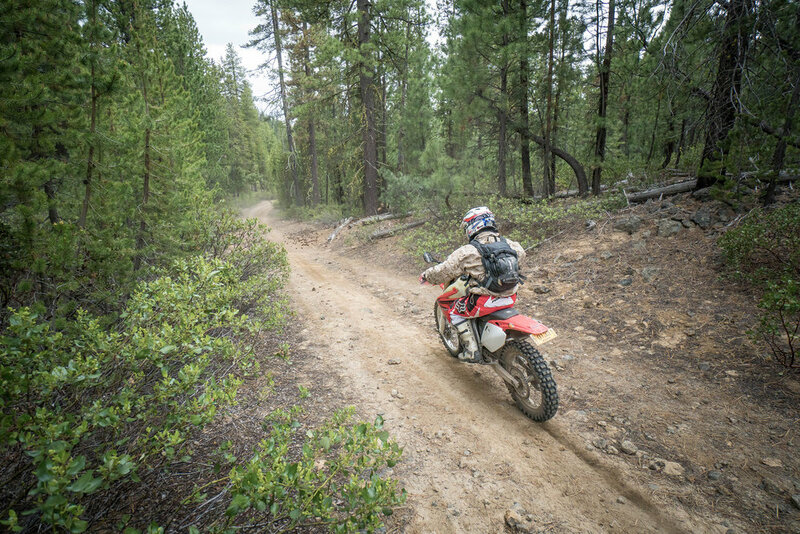 Soon after departing Silver Lake, gravel forest service roads provided flat tracking fun on the way to Fremont Point, the views of Summer Lake from the tour’s high point of 7,116 feet demanding a break to take it all in. The high desert environment had given way to true alpine, the dry dust contrasted by moist two track with occasional flowing springs and muddy tundra. 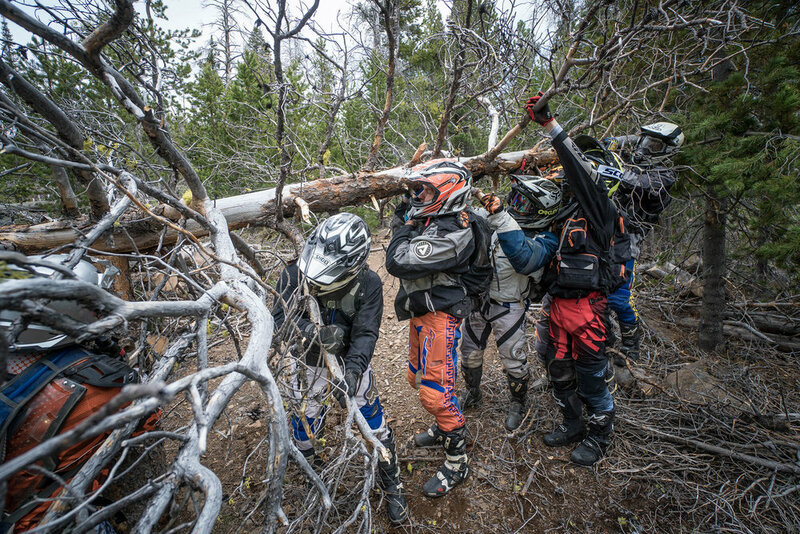 The team struggled up one climb for two hours, a countless number of fallen trees blocking the path. Hopping logs, ducking under trunks and rerouting with unbound optimism eventually gave way to sound thinking, and we reversed the climb to an alternate route, dropping into Paisley for a lakeside lunch. Bellies full, we headed off to Fandango Canyon, wary of the reported silt trail laden with baby head boulders. As promised, the shallow canyon delivered 30+ miles of boulder strewn trail, manageable but with enough rock to require extreme awareness for the duration. Tired from the 180-mile journey but content, the team arrived at the Lakeside Terrace Motel with just enough time to shower and make dinnertime. The post dinner drinks wound the day down nicely as a cold chill descended on our waterside accommodations. The last day of riding commenced with fast gravel twisties leading to another geographic feature caused by volcanic activity. “Crack In The Ground” follows the region’s plain nomenclature, and again, the name gives it away. Crack In The Ground is a fissure formed by flowing lava causing a split in a fault zone. This fissure is over two miles long and up to 70 feet deep; colorful mosses grow on the jagged walls, surviving the summer heat inside the cool slot canyon. Locals report that ice can survive the duration of the desert summer, homesteaders using it as a two-mile long refrigerator. 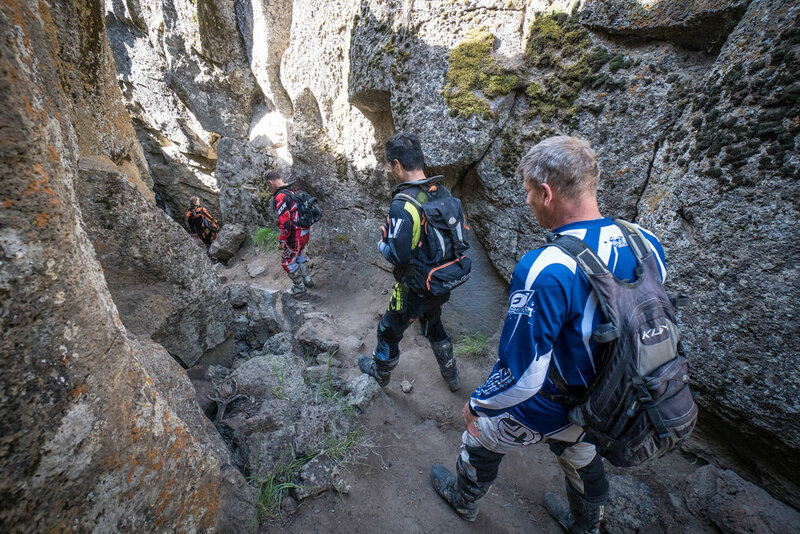 After exploring “The Crack,” we rallied to find remote, less traveled mountainside trails. These trails were truly alpine feeling, almost always going up or down and embedded deeply in forests; sometimes faint, but always in stunning surroundings deep in the woods. We dropped elevation to flatter and faster Forest Service roads and soon met Ace with his chase truck for lunch and gas, parked at yet another volcanic wonder. The South Ice Caves are one of 300+ lava tube caves in Deschutes National Forest; this one extends several hundred feet into the ground, stalactites of ice hanging almost year round. 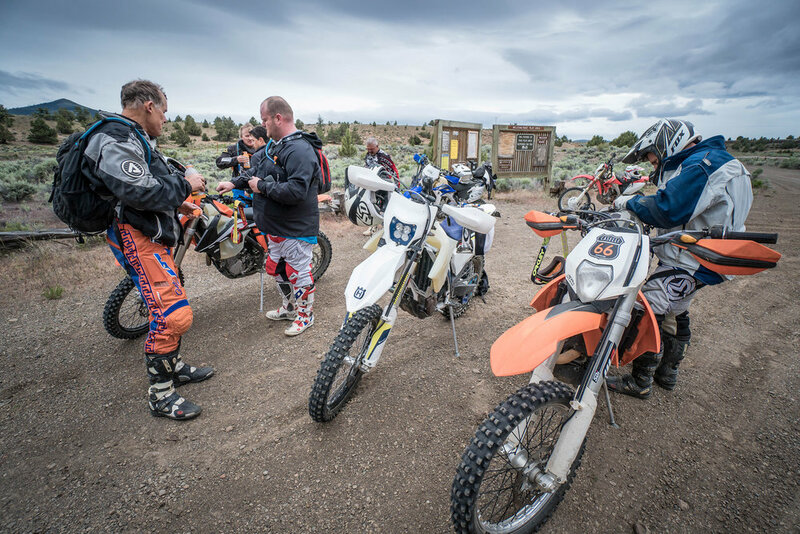 After refueling both body and bike, we were soon riding different trails in the same incredible areas encountered on the first day leading towards the China Hat OHV area. It is impossible to describe these trails with justice; the best of the best, some reminding me of bobsled runs, tires crunching a unique pumice based surface. Other trails included a gravel and sand mix and attention demanding boulders; all were beyond comparison. During another gas stop, faces were long, energy declining, the punishment of challenging trails stacking on top of the stress of long drives home for some. 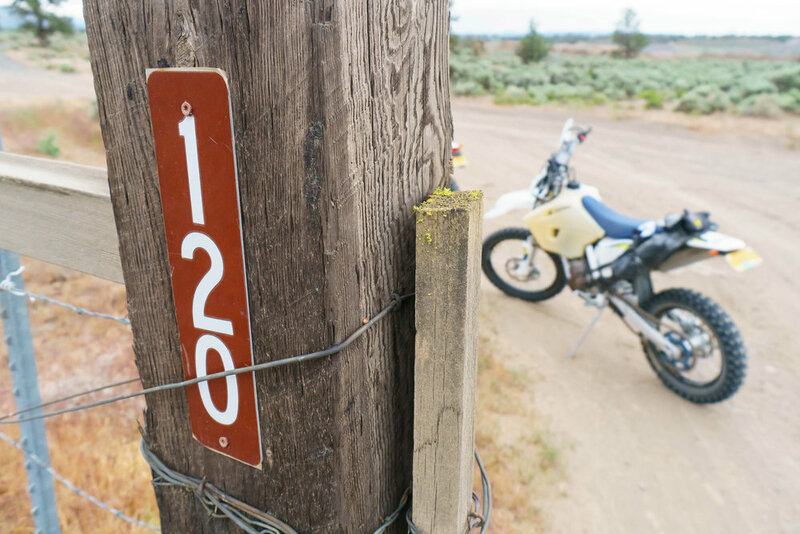 The guides gave everyone an out; a way back to Prineville via road. But, alas, the way of the warrior arose with the uttering of “I don’t want to regret skipping the last bit of trails,” and in hindsight, this was the correct answer. 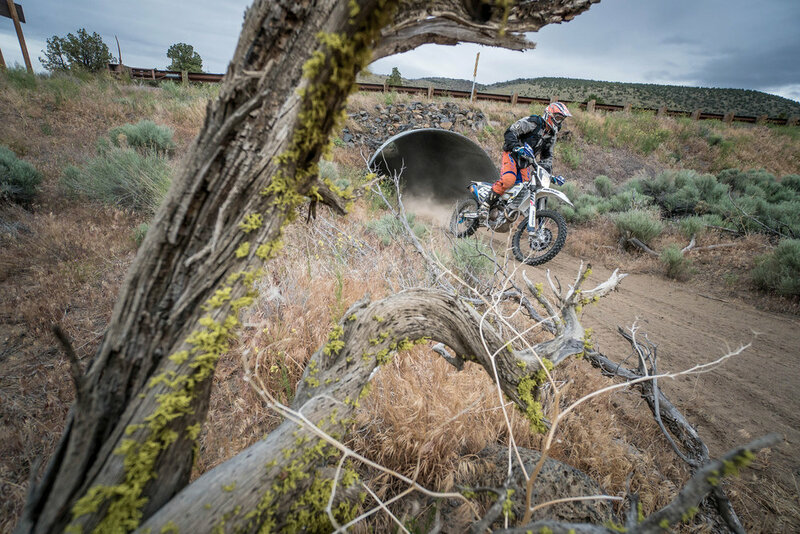 A final stint of amazing riding that included a heroic stretch of sand whoops delivered us back in Prineville, the day totaling 170 miles. in this respect UpShift Online’s success is virtually assured. It was founded by veteran motorcycle industry professionals: English-born photographer Simon Cudby, the premier photographer in the world of motocross, and Chris Glaspell, creative director with firms serving clients that include Suzuki, Yamaha, Kawasaki, Cycle World and Yoshimura. This, plus Upshift’s veteran editorial staff and unrivaled journalism, will gives readers unparalleled views of adventure motorcycling. Copyright © 2016 Upshift™. All rights reserved. Reproduction in whole or in part without permission is prohibited. Copyright © 2018 Upshift™. All rights reserved. Reproduction in whole or in part without permission is prohibited.